The end of July is here and August is just days away. 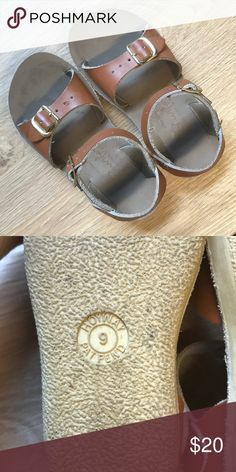 Typically here in Connecticut and the Northeast it can be hands down the hottest days of summer. The dog days of summer as it is so affectionately referred to. I am not a person who includes deodorant as part of my everyday routine. 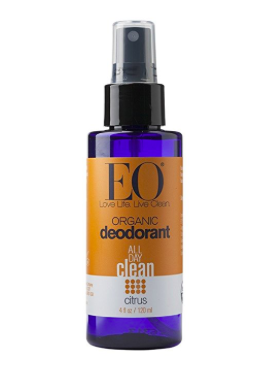 I take a good long break from any deodorants over the winter. I just don’t need it. I’m usually freezing so applying an antiperspirant or deodorant is a pointless waste of time. My husband is the opposite. He cannot go a day, a night, a minute without his deodorant year round. Hey, we all have our thing with how we take care of our body because we know our body best. A good five or six years ago we both switched to more “natural” DEODORANTS. This decision was after reading so many articles on chemicals and what is absorbed into our skin when we apply lotions or any beauty item. Our skin is our largest organ, made up mostly of water, and whatever we apply is pretty much going directly into our body, and our bloodstream. 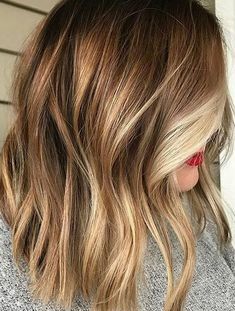 When I say “natural” I am referring to the item being free of certain ingredients that aren’t great – aluminum, propylene glycol, parabens & phthalates. 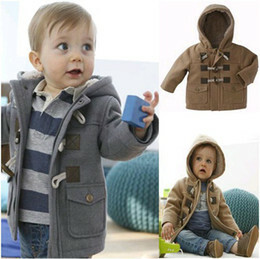 And any scent is naturally derived from nature. It can be so overwhelming and scary to think about all the products we use on a daily basis – what is ok, and what isn’t. 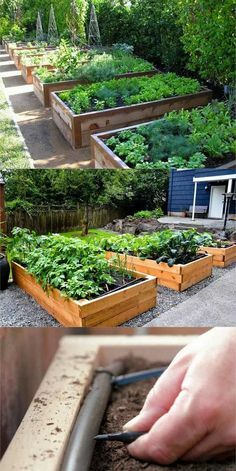 And, tossing everything we use into the trash and starting from scratch can be super costly. That is why we started off with deodorants and lotions. 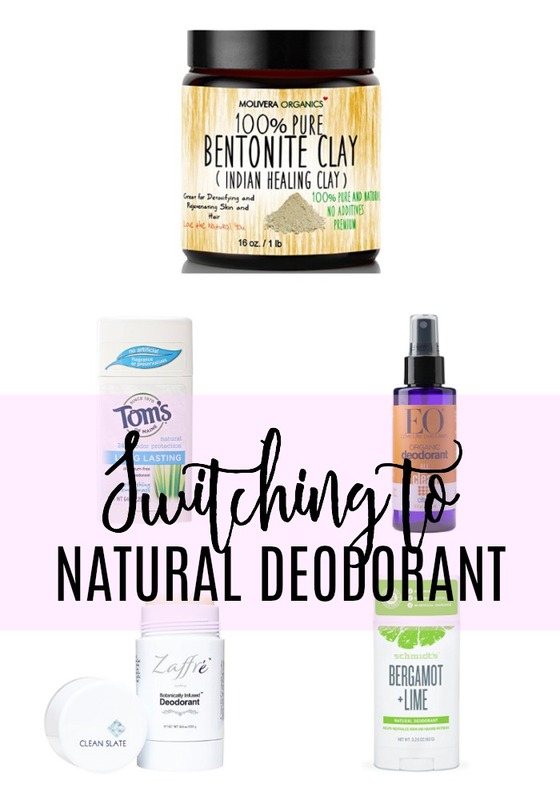 Let me tell ya guys – not all natural deodorants are created equally. 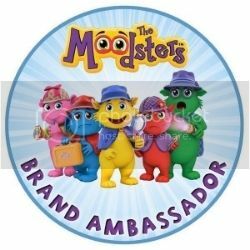 I had a good amount of trial and error and these are the brands I found to work best for me. 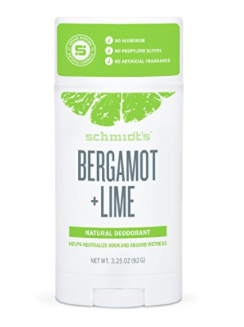 Schmidt’s Deodorant Stick $10 – Premium natural ingredients: Mineral-derived materials work to neutralize odors while plant-based powders help absorb wetness without the use of aluminum. 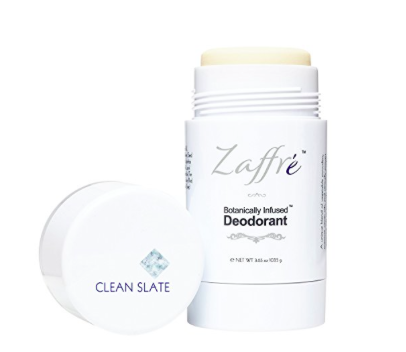 Zaffré Natural Deodorant for Men $10 – Solid all natural deodorant stick goes on smooth, non-sticky, no flaking, crumbling, or white residue. 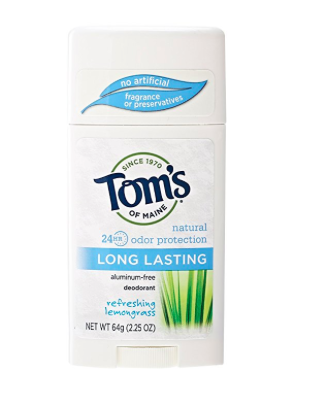 Tom’s of Maine Natural Long Lasting Deodorant Stick $4 – Natural Deodorant – No Aluminum, No Parabens, No Artificial Fragrance and budget friendly! Available in a huge variety of scents. I’ve found reapplying necessary on the hotter days. If you are going to make the switch to a natural or organic deodorant – it is a good idea to give yourself a mask in your armpit/underarm! Sounds crazy right, but you really want to remove any residue from previous deodorant and exfoliate the area. 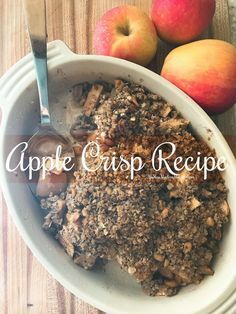 A detox to the armpit if you will! Mixing up a paste with this Bentonite Clay will do just the trick! You have to really start with a clean underarm for the new products to provide the BEST results. Let me know if you’ve made the switch and you favorite natural brand!